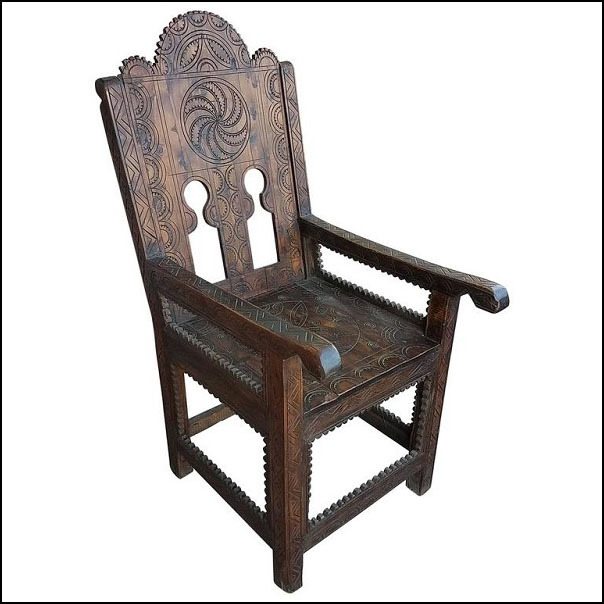 Moroccan wooden chair. Meticulous hand carving throughout. Fine cedar wood. These are two of the best chairs we’ve ever had in our showroom. Amazing work and handcraftsmanship makes these chairs one pair of a kind. Seating is 19″ from floor. Width is 21″. Please contact us for shipping information, for more details or more close-up pictures.